Ever wished your team could be more productive, collaborative and up to date? If yes, read on and try out Helpie. You will agree that a knowledge base improves the functioning of your employees as a team and Helpie makes it possible as it is the most advanced WordPress knowledge base plugin. Has it ever happened to you that you are trying to transfer your responsibilities and you are having a tough time? Initially, we feel the other person is not good enough, but as time passes, more often than not we realize that both of you guys are good and it is just the lack of proper documentation that is causing the issue. Similarly, you want to make your entire team aware of something, but you always end up missing one person at least. How helpful would it be if you could just post all the announcements somewhere so that you and your team can see it anytime, anywhere? Having clear documentation makes sure that all updates reach everyone irrespective of whether they are at their desk or they are on their vacation. Helpie does exactly all the above and much more. It is a must-have for teams looking to be super productive and consider time important to be wasted on re-work or repetitive jobs. Oh yeah, Helpie comes right out of the box with a front-end editor. 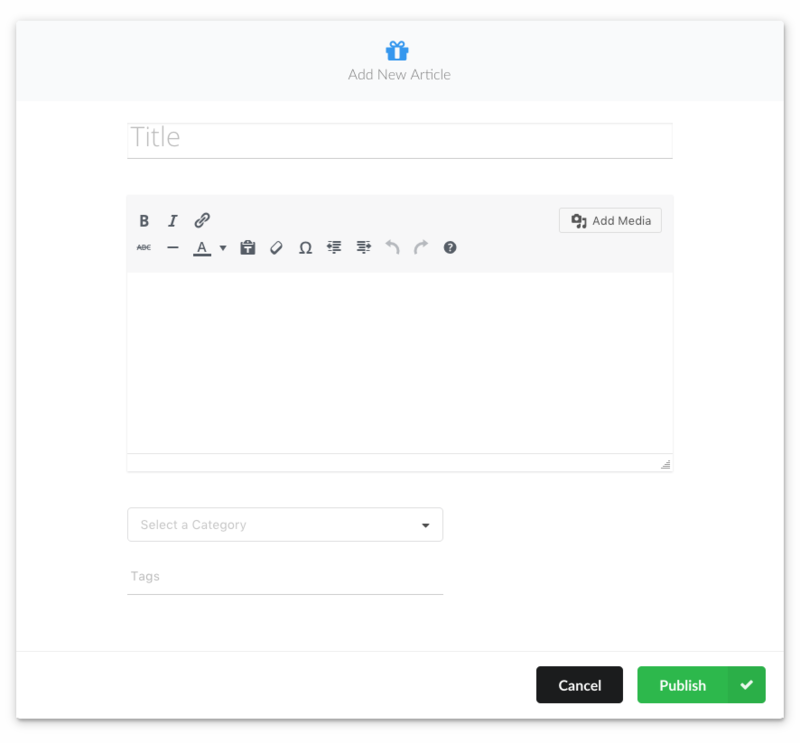 Front-end editor is aimed at helping you update the knowledge base fast. You can add, edit information just like how you would write out an email. A pop-up appears, you add in all the data and submit it. This lets you add data on the fly. By using the user-role based access provided in Helpie you can make sure only intended people can add articles or for the matter of fact even see them. Imagine you have a new guy join your team. It would be challenging for him to catch up with the rest all alone, having a trainer solely allotted to him is also not an option. The only option left is to train him slowly. This hits yours and the new guy’s productivity immensely as you and the new guy need to keep juggling and the new guy keeps asking questions while you are in your deep work. Needless to say about the frustration you both have to go through. With a proper setup and use of Helpie, you can be rest-assured that such things become a part of the past. Helpie provides you with a platform for adding, storing, searching and editing(if required) data. By using this efficiently, you can make sure that after a two-hour intro to the new guy, you can leave him with Helpie and he will become self-sufficient. At our clinical runs with we were surprised to find out that by making use of Helpie, we make sure not to bias the thought process of the new guys and they surprised us with a brand new way of looking at things that have existed for some time now. We then found out that new guys are 60 percent more likely to come up with innovative and efficient ways of doing tasks if they are not biased with opinions and are let to learn on their own with the minimum information(call it a minimalistic approach). Helpie achieves this for the team. Well, there are several plugins out there that help you achieve some of the above objectives individually, but Helpie does justice to all the above objectives and also comes at a very desirable price. Below are some features of Helpie that will help you understand why it is such a great knowledge base and a must have for any team wanting to make their time more productive and ensure a very smooth functioning of the team. We already discussed the Front-end editor, let us talk about the live priority based search of Helpie. You put in a lot of effort trying to put in data into the knowledge base and finally if you are not able to find it when you need it, what use is that of? The search algorithm used by Helpie is three-pronged and ranks articles in the KB and finally shows you the best possible matches. It is lightning fast even with all the complicated calculations. 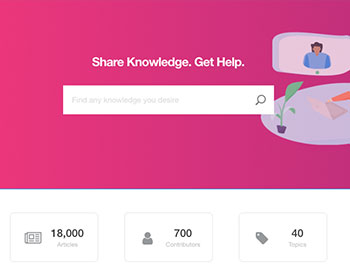 Helpie’s internal search engine boasts of a 2sec search time for 12k articles. The front-end editor with the live priority based search of Helpie forms a lethal combination for any new addition to the team. It means that he can find the information he is looking for in a jiffy and also if you give the access he can update the articles with information that it is lacking. It is the admin dashboard with all the metrics about your KB. Try out Helpie using the link at the starting of the articles to find out all the metrics available. We will discuss a couple of them here. The metric ‘most searched keywords’ help you understand what your team is looking or searching for the most. This helps you make sure that you have the necessary content as you evolve. Helpie has two voting systems that let user register their feelings regarding the information in each article. Based out of this Helpie generates and consolidates a report for you that shows which articles are keeping its readers happy and which aren’t. Again, you find areas that need improvement right in front of, and you can work on it. Try out the free demo using the link provided at the beginning of this article to find out all the exciting features that make the Helpie the most advanced knowledge base indeed and a must have for modern day teams. Well, I almost forgot, the remarks on the support provided by Helpie in their comments page suggest that you can bank on them. They make sure to release updates with new features and fixes every 2 weeks. That calls for a demo doesn’t it(use the link at the top of the article)?